Even as digital technology has grown exponentially more sophisticated, accessible, and integral to our lives, social inequality has cast a deeper shadow across the United States in recent decades. Simultaneously, getting a quality education has become ever more essential for individual success and fulfillment. The panelists’ collective answer: Digital education can indeed shake up rigid class hierarchies, and it’s already having that effect. But it’s going to take more time and commitment. “We’re just getting to the point where these tools can start being useful,” said Jaime Casap, the chief education evangelist at Google, who noted that in 1995 only one percent of the world was online. Twenty years later, some 40 percent is. 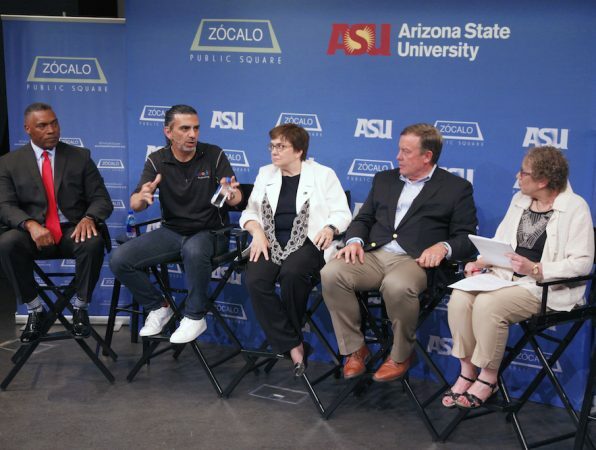 Casap’s opinion was echoed by Arizona State University president Michael Crow. Crow suggested that giving every student access to digital tools would empower them—not as faceless members of a socio-ethnic group or class hierarchy, but as individuals. 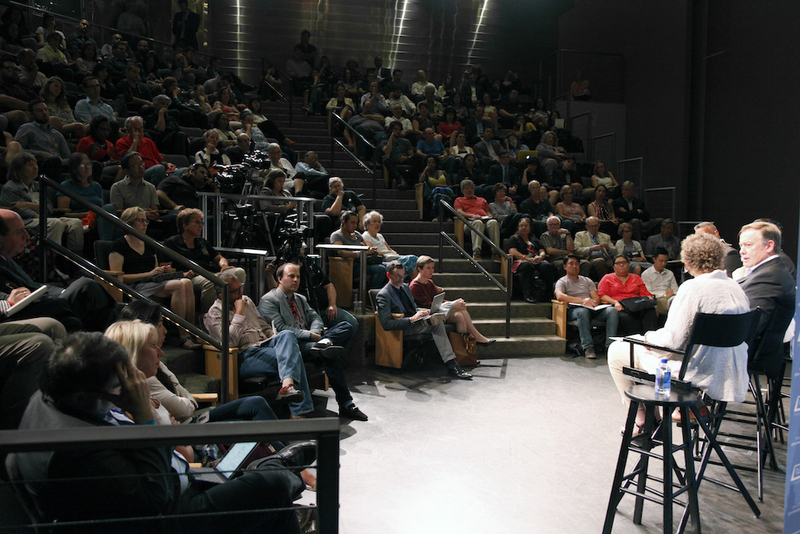 The conversation unfolded before an overflow audience at the National Center for the Preservation of Democracy in Little Tokyo in downtown Los Angeles. Moderator Goldie Blumenstyk, senior writer at The Chronicle of Higher Education, started the dialogue by asking each panelist to reframe the evening’s theme in a sentence or two. Some gave bluntly personal responses. Darryl Adams, retired superintendent of the Coachella Valley Unified School District, talked about growing up economically disadvantaged in Memphis, Tennessee. Casap spoke of his family’s dependence on food stamps and welfare while he was growing up in New York City’s rough Hell’s Kitchen neighborhood. When he was a kid, to look up information he had to trudge over to the Columbus branch of the New York Public Library on 10th Avenue—unless it was a Sunday or holiday, when it was closed. Today, more young students like him could get that information by pressing a key. Withholding technology from needy students guarantees they’ll fall further behind rich ones whose parents can pay for it privately, he suggested. 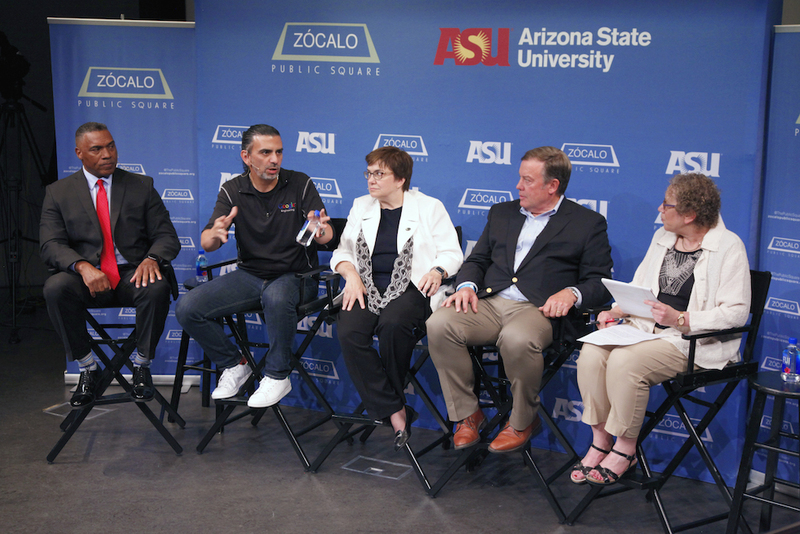 “I get to do what I do today because of education,” said Casap, who did graduate work at Arizona State University. The educational benefits he received are now being enhanced by digital tools and extended to the next generation, Casap said, mentioning one of his own children’s pursuit of a higher education degree. “She assumed I was going to pay for it, so that’s a good problem to have,” he joked. Marie Cini, college provost at the University of Maryland University College, ventured that digital education alone won’t end the class system. Rather, she suggested, digital education creates connectivity among formerly disadvantaged and marginalized people, which in turn creates opportunities and shifts power relationships. That, eventually, leads to changes within the class system. But there still are obstacles to obtaining all the benefits that digitally enhanced education can offer, Cini said. Parents worried about social status may hesitate to support a child who chooses a blue-collar career, even a high-skilled one. Brand-name institutions still have big advantages over their less well-endowed rivals. These social distinctions and prejudices can carry forward and be exacerbated well after an individual leaves college. Access to digital technology is important, “but it’s not enough,” Cini said. 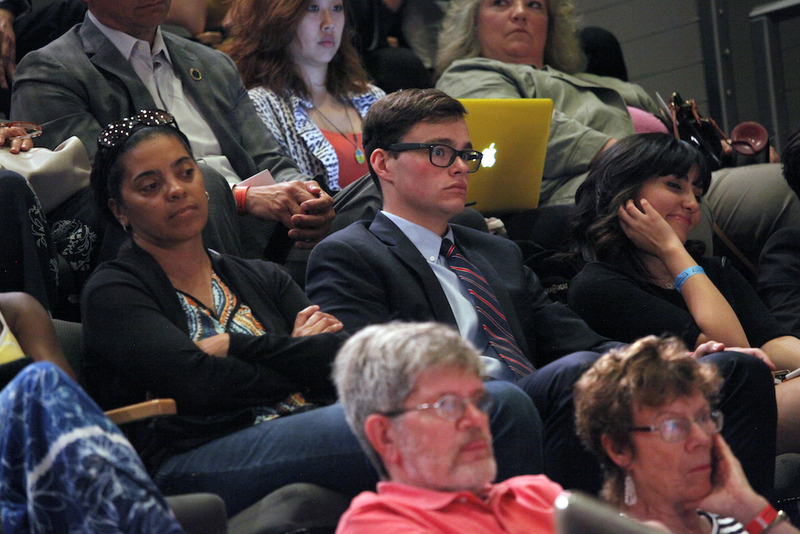 Blumenstyk repeatedly pressed the panelists about whether digital technology really could shake up the class system and deliver on its utopian promises if elected officials and taxpayers aren’t willing to pony up more money—an uncertain possibility, at best, in the current political climate. Adams replied that his school district actually had banded together and agreed to tax itself to provide digital technology to its students, including those living in isolated trailer homes scattered across the region. To reach those students, buses were outfitted with routers and parked in remote neighborhoods so students could access the internet. “It’s possible to make this transformation, but you’ve got to have the will,” Adams said. At one point, Blumenstyk reminded Crow of an interview in which he raised the troubling prospect of a future world in which rich kids get taught by professors and poor kids get taught by computers. Crow responded that there always will be a need for master teachers and professors giving face-to-face instruction, but technology can be an enhancement and a means for “evening out the outcomes.” Virtually everything in our human-made environment—from food, eyewear, and clothing to dictionaries and cell phones—is a technology, “passive objects” that can be “empowered” through “the creativity of individual students or individual teachers,” Crow had said earlier. And the notion that we must make an either/or choice between old-fashioned learning and digital learning is false, he stressed. As for the cost of education, Crow said, investing in technology reduces it over the long term. 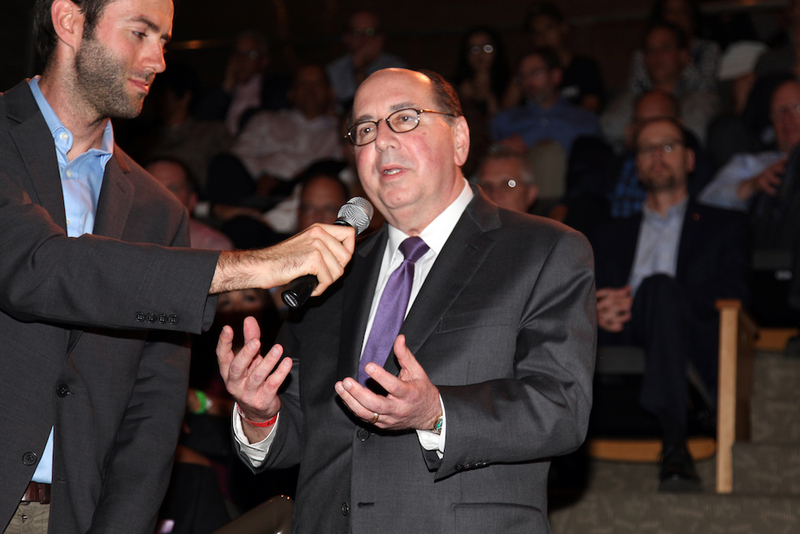 As the evening moved toward its question-and-answer portion, one audience member wondered aloud how digital learning could foster an improved civic culture. Casap said that young students need not simply to be given access to technology, but shown how to use it. For example, he said, studies have shown many kids don’t know how to tell a sponsored website from a real news website. Another questioner asked why, despite the wider availability of digital technology, there aren’t more people of color working in Silicon Valley. 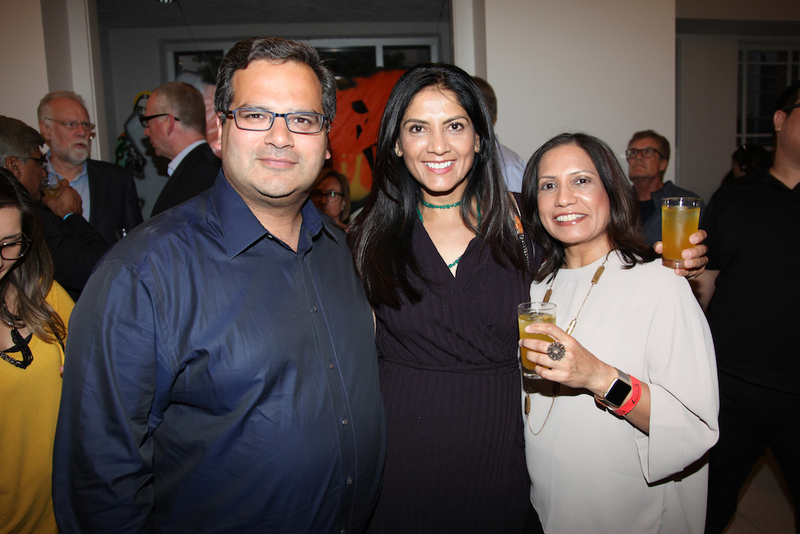 “What I told my kids was, ‘Build your own company. Don’t wait for Apple to call you,’” Adams responded. Digital learning, the panelists concurred, is not a panacea, either for all of society’s problems or for any individual’s challenge in staying productive and engaged. “It’s a long life, you’re probably going to have nine different careers, so you have keep going back and reinventing yourself,” Cini said. But if digital learning isn’t a cure-all, or a revolutionary action, the panelists seemed to agree that we’re long past the point when moving forward without it is an option. 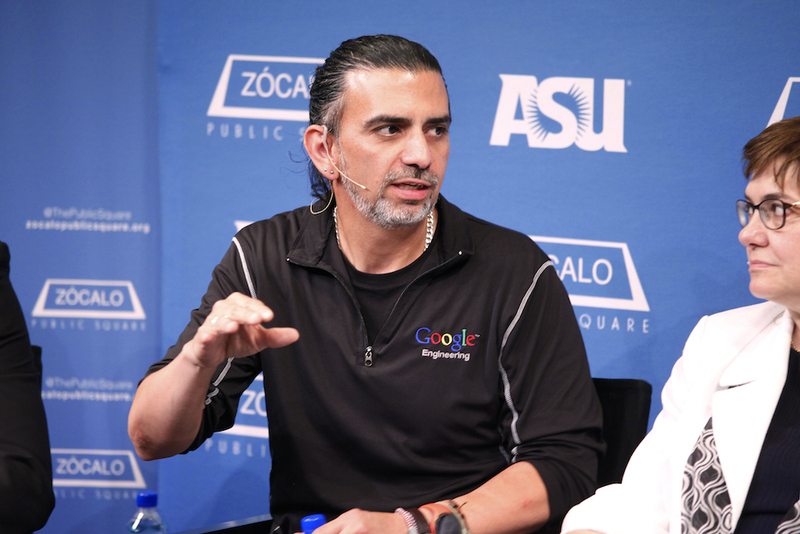 Jaime Casap, chief education evangelist at Google. A standing-room-only crowd at the National Center for the Preservation of Democracy. 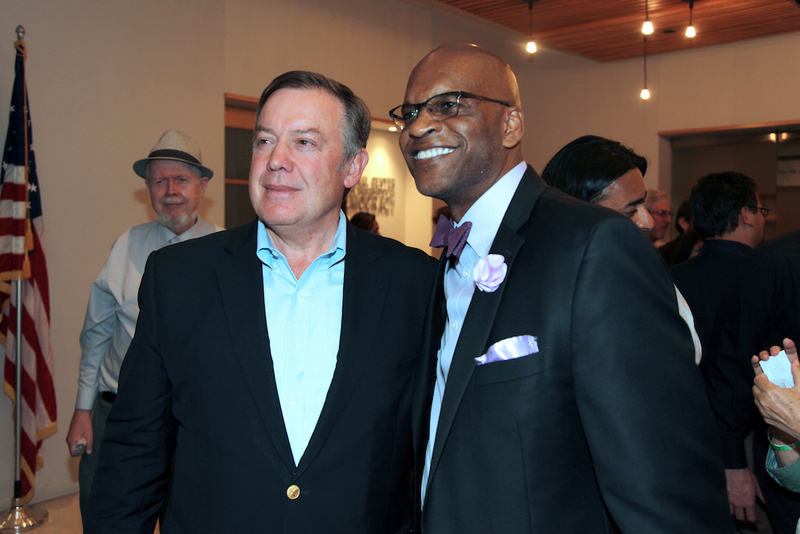 Arizona State University president Michael Crow speaks with guests at the reception.